Below are two useful apps that allow students to engage in creative activities through building and experimenting with Lego bricks.These apps are easy to use and students will definitely enjoy working on them. They are also compatible with Chromebooks. This app, which works on both Chrome and Firefox, enables students to easily create models using different Lego pieces. These models can be saved online or can be shared with others. Students will also be able to view models created by others to get inspirational ideas on how to design theirs. 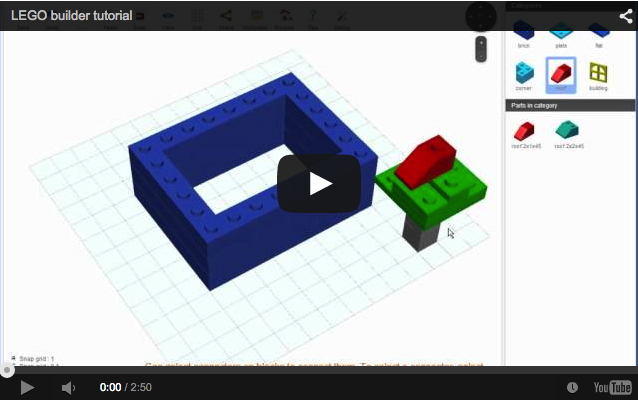 Watch the video below to learn more about Lego builder. 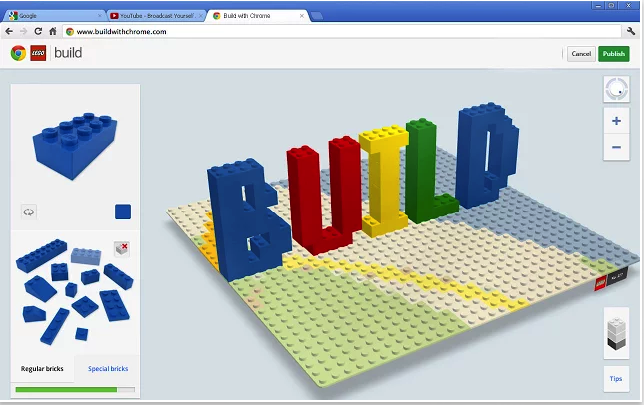 Build with Chrome is an app that enables users to create anything they want using Lego Bricks on Google Maps.The process is pretty simple. just pick out a plot on the baseplate which is Google Maps, build whatever you like with Lego bricks, publish it on the map and share it with others. I learned about these apps from this excellent article "Beyond Google Drive: Apps, Extensions, and Websites for Chromebook".